The reality of Microsoft's game-light Xbox One reveal shouldn't be a surprise to anybody who has been paying attention. The writing has been on the wall for some time—Microsoft doesn't want to make a “game console,” it wants to make an all-in-one entertainment system that will be the centerpiece of people's living rooms. Microsoft executives have been quoted saying as much. Sure, the company paid lip service to gaming in its announcement, and Microsoft representatives certainly said the word gaming a lot, but the proof is in the pudding. The company's console reveal spent very little time discussing or showing actual games compared to the amount of time it spent on the system's capability to deliver an overall entertainment experience, particularly one that includes television. Having thus far failed to make a dent in the smartphone or tablet markets, Microsoft is banking on one of its most popular brands, Xbox, to infiltrate the mass consumer electronics market and challenge for dominance in the living room. The company's public relation’s messaging has been headed in that direction for some time. Although this non-gaming focus isn't surprising, it's interesting considering that Microsoft just released a series of graphs showing how gaming is one of the biggest growth areas for entertainment. MS went to great lengths to demonstrate to its shareholders that people now spend as much money on games as they do on movies, only to turn around and largely ignore gaming at the reveal of its next-generation Xbox. It seems as though Microsoft's response to the increasing popularity of gaming is to focus only on the genres with the widest mass-market appeal, then support that focus with associated forms of entertainment such as sports and science-fiction TV series. While that's certainly a valid market strategy, it's not one that will resonate with gamers who have varied tastes. Unlike Microsoft's general entertainment message, Sony's message about the PlayStation 4 is almost completely centered on gaming. Although the PS4 will support the various entertainment options we've become used to seeing on all major consoles, Sony is largely talking about games and gaming-related technology such as gameplay-streaming features. Sony's well-publicized flubs at the beginning of the PlayStation 3 generation have slowly faded into the background as the PS3 has shown strong sales in recent years. Sony is eager to capitalize on that momentum and regain its position as the top dog of home consoles. Instead of focusing primarily on the mass market, Sony appears to be appealing directly to core gamers in its bid to win the console wars. So far, all we can really argue about when it comes to Microsoft versus Sony is the message that both companies are sending out. The two devices are technologically similar, and the Xbox One certainly has the specifications needed to support gaming. In some ways, the Xbox One's setup is actually better for gamers than the current Xbox 360 dashboard. The device's focus on personalizing entertainment experiences means that gamers won't have to wade through a sea of menus to get to their game collections. Even the possible Xbox One features that are unpopular with gamers, like the proposed fee required to install a previously-used game or the ability for developers to require an always-on connection under the guise of supporting cloud saves, may very well not be Xbox One exclusives. A single Sony executive may have told a single journalist that the PlayStation 4 can play used games, but that doesn't mean Sony won't consider a “used game fee” or other anti-used-game methods, especially if it comes as part of negotiations with publishers in exchange for exclusives. The most troubling thing about Microsoft's messaging is the question of what happens over the long term. 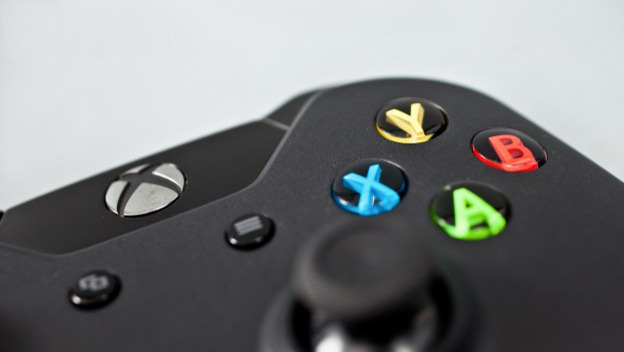 With Microsoft's attention firmly on everyday customers rather than people with a primary interest in gaming, will the company spend the time and money that's needed to support a diverse gaming ecosystem on its console? Xbox Live Arcade has already become far more anemic than it was a few years ago, and Sony and Nintendo are tripping over each other in attempts to attract small and independent game companies to their platforms. What's clear is that Sony is courting consumers who call themselves “gamers,” while Microsoft is banking on the idea that a wider demographic of people will want to buy the Xbox One. The demographic that mostly plays sports games and multiplayer shooters will likely eat up the Xbox One, but can Microsoft also capture the family demographic it's courting with the Kinect and the Xbox One television-related features? In the direction it's going, Microsoft's Xbox One is competing not just with the PlayStation 4, but also with the plethora of other devices that offer entertainment viewing and light gaming. 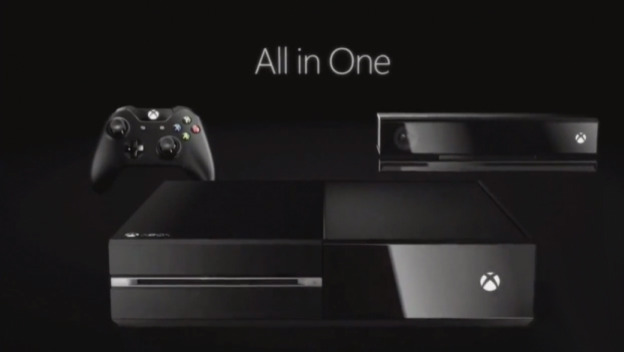 Certainly, the lack of game-related information at Microsoft's console reveal is partially strategic. The company is almost certain to have left game footage and major game announcements for E3. That doesn't mean, however, that we're going to stop hearing these mixed messages from Microsoft. While paying lip service to gaming, Microsoft's big strategy for the Xbox One is to sell an all-in-one entertainment system to the average American household. Whether that will negatively affect the number and quality of games on the system is an open question, but Microsoft's current strategy leaves the market wide open for Sony and even Nintendo to steal away gamers' hearts and wallets this generation.